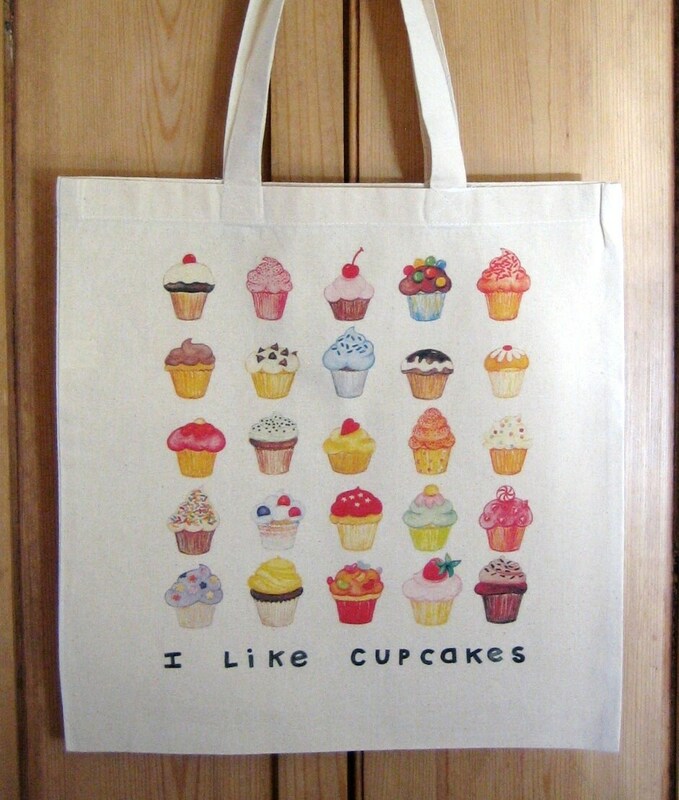 Cupcakes cotton canvas tote bag in all of your favorite cupcake flavors. 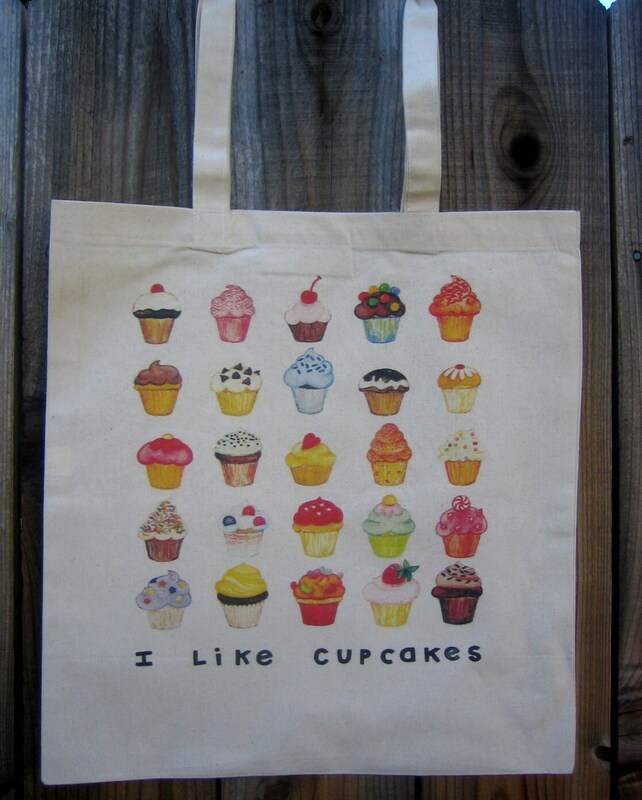 Digitally printed "I Like Cupcakes" design from original watercolor. Bag is appx 15" X 16".